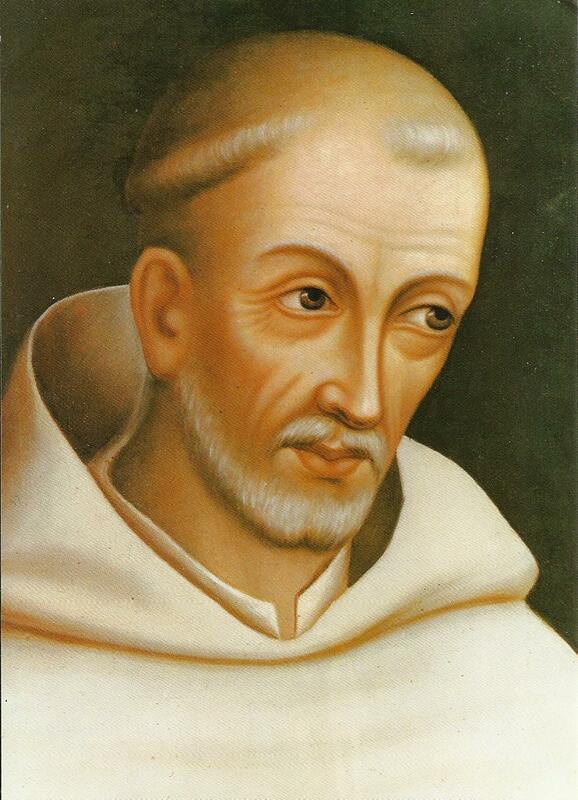 Today is the Memorial of St. Bernard of Clairvaux. He was born in 1090 in France, and died there in 1153. He was the abbot of a monastery in what became known as Clairvaux, a confessor, and a Doctor of the Church. From our vantage point today, looking back 800 years, we recognize that he was a man of sincere beliefs, a lover of God and the Blessed Mother, a mediator and salesman for the Roman Catholic Church, and a man of contradictions. First, let us look at the reading from today’s Mass, Ezekiel, Chapter 43, Verses 1 through 7. The glory of the Lord will dwell in our land. How fitting that these readings should be found in the memorial mass of St. Bernard. Isn’t it true that we tend to look backwards in time and see only a few highlights? Don’t we think of the early Middle Ages as a time of kings and queens and knights and pages and wars and the beginnings of the crusading spirit? Don’t we see it as a time fixed in amber, with what we consider “history” encapsulating a small insect or artifact representing the whole era? In reality, St. Bernard lived in a time about as tumultuous as our own. Yes, there were kings and queens and all the characters of our historical novels and movies. But just as today, there were disputes over territory, the wording of Bible passages, the meaning of life…all the issues we face but with considerably more complexity since the forms of governance and separation of powers and cultural norms were not nearly as codified as we know them today. And in this mix is St. Bernard, a man of God who had all the temptations and misdirections and questions we have. He was a man of such intellect, charisma, and organizational expertise that the monastery he founded at Clairvaux grew so rapidly that they had to send out monks to other parts of Europe to relieve the overflow in the founding house. He travelled around France and Italy and Sicily to garner support for the legitimacy of Pope Innocent II, disputed with Peter Abelard, and preached the Second Crusade, among his many activities. His disagreement with Abelard centered on what he said was the application of logic where logic didn’t belong and was therefore illogical. Admittedly, this is a major condensation of the argument, but it points to an important contribution of St. Bernard to the time. St. Bernard was not one to close his eyes to the new applications of philosophical thinking, but with Abelard showed that while reason and logic were valuable to the growth of our intellect, there are certain truths, embodied in the teachings of Jesus and the scriptures that should not be disputed “logically.” One example of this kind of thinking can be found in his complete devotion to the Blessed Mother. St. Bernard referred to her as the Mediatrix, but did not believe in the Immaculate Conception. Faith and reason residing in the same person. It was his desire to bring order and sense to the tumult which was the 12th Century that resonates with the first reading where Ezekiel is showing God’s desire to set things aright after a period of chaos. Which brings me to today’s Gospel. To me, this completely encapsulates St. Bernard’s life and work. All worldly show, all human knowledge, all accomplishments and discoveries, in fact, everything that humans strive for are nothing as compared to the love of God and one’s neighbor. Whatever we show to the world and desire from the world must be put to this test: “You have but one teacher, and you are all brothers.” So no matter how learned he was, how fervent in his warlike desire to protect the Holy Land, how partisan he was in backing one pope over another, beneath all this he was a servant of man and of God. And he remained true to this devotion to Jesus and Mary to the end of his life. Would that we could all be like this. Lord, move in us the desire to search out new vistas, new knowledge, new advancements. But keep us always mindful of your humility and grace, and give us the courage and logic of St. Bernard that after 800 years still holds truth as that precious artifact within the gemstone of amber.